It feels wonderful to feature another outdoor adventure today! 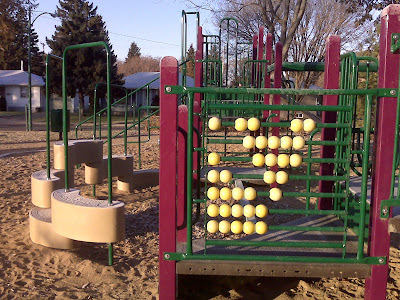 Wiggins Park, located between 1st and 3rd Street East on Wiggins Avenue, is a darling little place for kids to play. It has two infant swings and two small side-by-side slides that are just the perfect height for hoisting baby up over and over again. 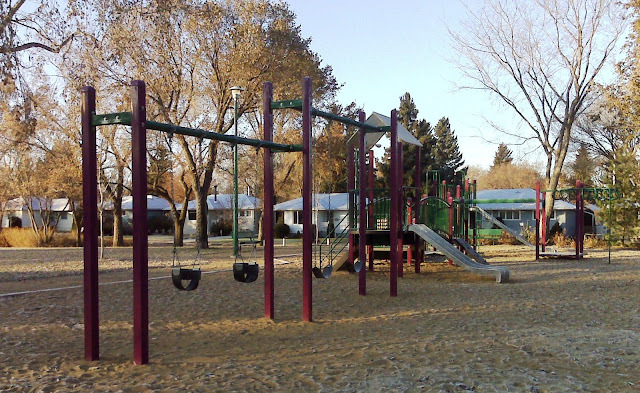 I will be reviewing many of the city's parks this spring and summer here at saskmom.com. If you would like to help in this effort, please send pictures taken at your local park along with a list of the park's features as I have done above. I am looking forward to trying out all of the best parks in Saskatoon with my son. Just discovered saskmom.com...so I may not have gotten to all the parks you reviewed yet. But if you haven't already - definately try out the playground at the farmers market. 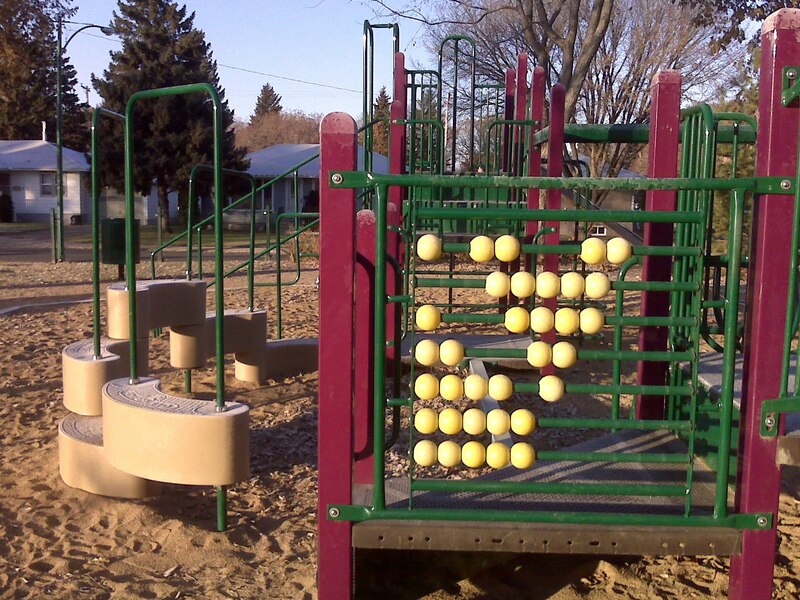 It is different than the other parks - with two areas, one for littler tykes, and one for the school-age climbing crowd. And Saturday morning would be the best time...otherwise, at first glance, you may not have a clue what the kids would do on the stuff (or maybe that's just me??). Thanks, Kim! First, for discovering saskmom.com and second, for sharing your experiences at the Farmers Market playground. Saskmom.com hatched in Jan. 1, 2010, so we haven't had the weather to review too many parks yet. Stay tuned for more, and keep sharing!